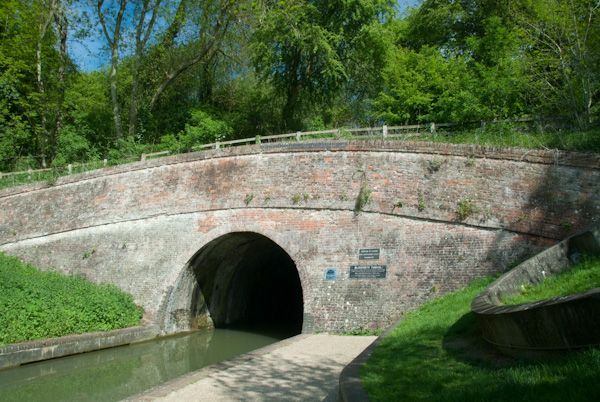 The longest navigable 'broad' canal tunnel in the UK - completed in 1805. 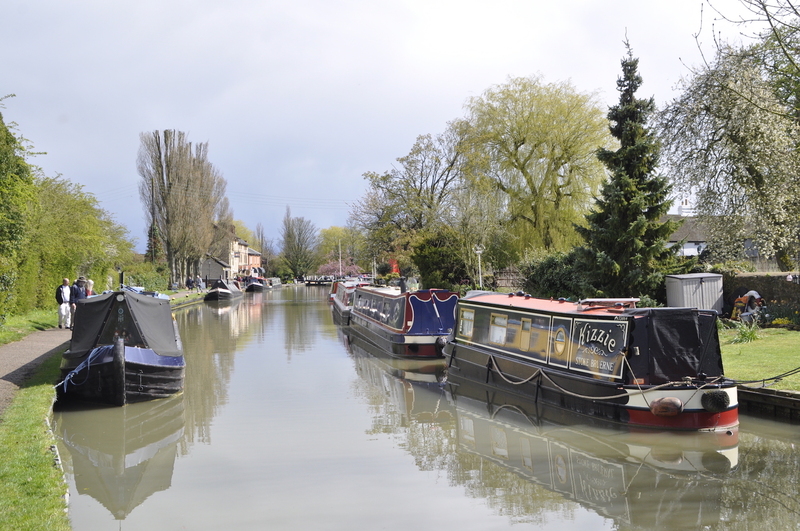 The Grand Union Canal in England is part of the British canal system. Its main line connects London and Birmingham, stretching for 220 km (137 miles) with 166 locks. 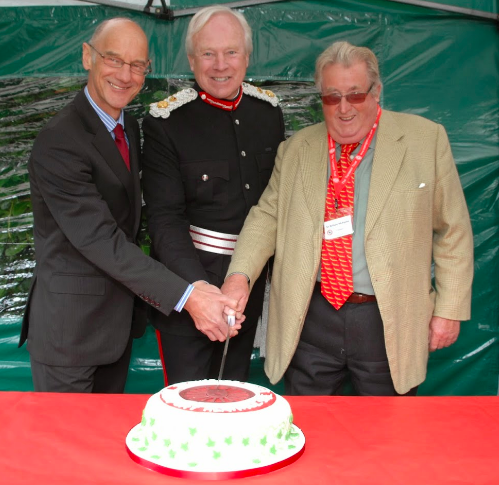 It has arms to places including Leicester, Slough, Aylesbury, Wendover and Northampton. 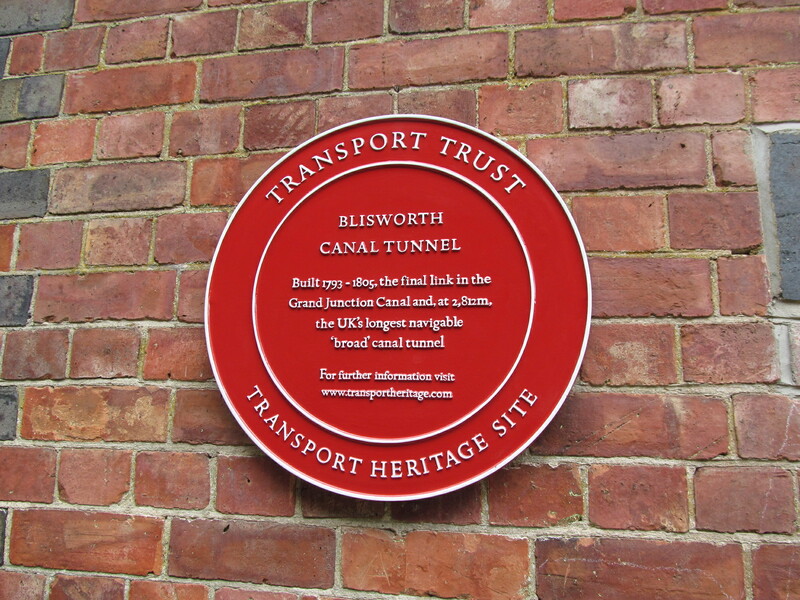 'Grand Union Canal' was also the original name for what is now part of the Leicester Line of the modern Grand Union. To avoid ambiguity, this is now generally referred to as the Old Grand Union Canal. 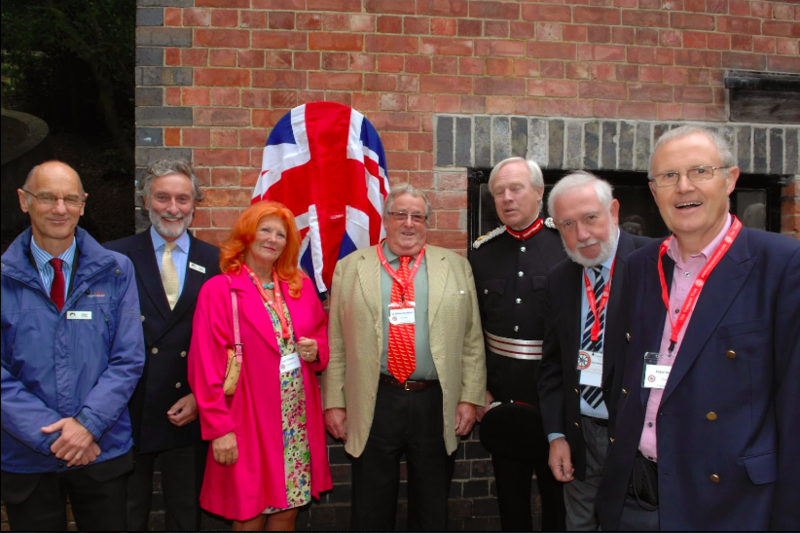 The present Grand Union Canal came into being on 1 January 1929, and was extended in 1932. It was nationalised in 1948. 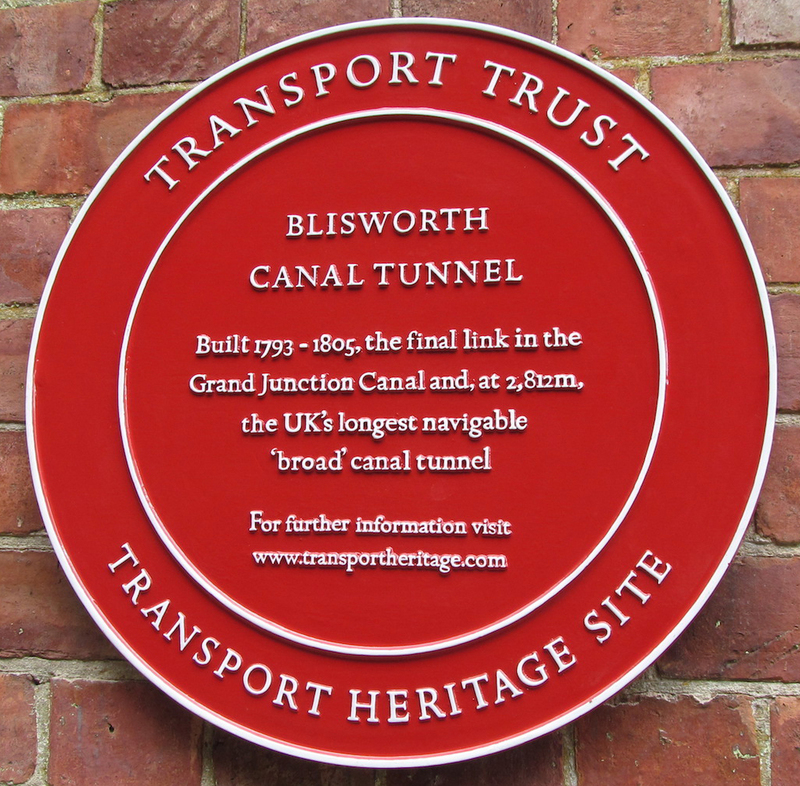 Blisworth Tunnel is between the villages of Stoke Bruerne (southern end) and Blisworth (northern end). It is 2,813 m.(3,076 yds. )long and is the third-longest navigable canal tunnel on the UK canal network, after Standedge Tunnel and Dudley Tunnel. Construction started in 1793, but errors by the contractor left a wiggle in the tunnel, and after three years work it collapsed due to quicksand, claiming the lives of fourteen men. It was then decided to begin again with a new tunnel. 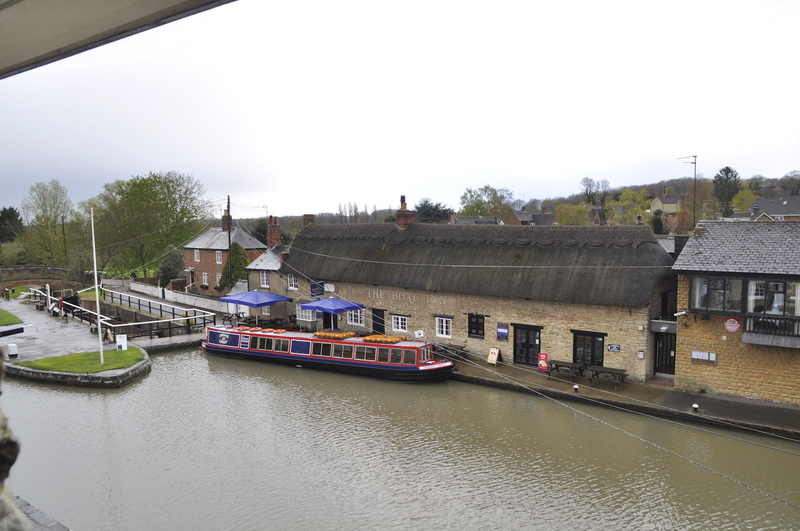 By the time the rest of the Grand Junction Canal had opened between London and Braunston, Northamptonshire in 1800, apart from the crossing of the River Great Ouse, the part of the canal from Blisworth to the bottom of Stoke Bruerne locks was the only section that had not been finished. This was despite the tunnel having been under construction for seven years. In order to fill this gap a temporary horse-drawn tramway was built over the top of the hill, with goods being transported from boat to wagon and back again. 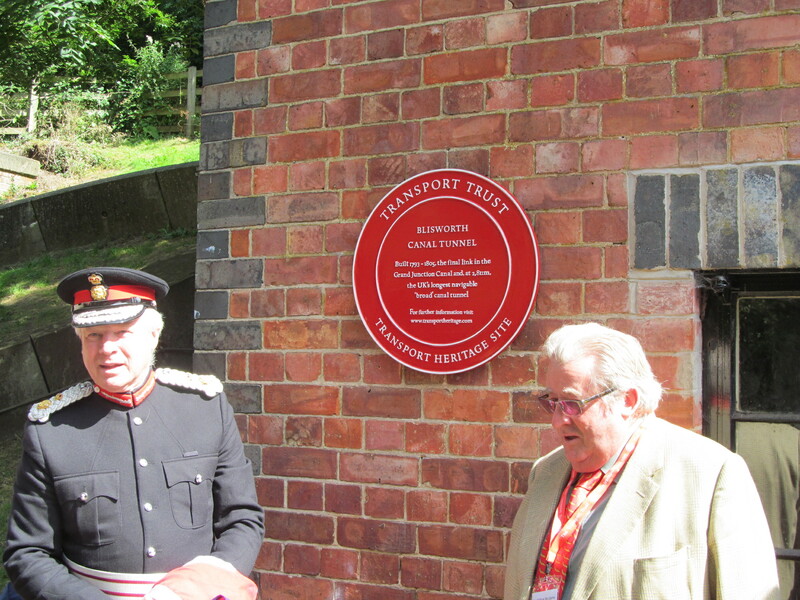 The tramway, built in 1801, was Northamptonshire's first railway. In March 1805, the tunnel was finally opened. There was some major rebuilding in the 1980s, with sections lined with pre-cast concrete rings. It was also used to test out the materials that were later used on the Channel Tunnel. On the towpath 500m NW of Blisworth Canal Museum A43 near M1 Junction 15a.